One of the great ideas in bicycle design that has sadly, largely, disappeared. 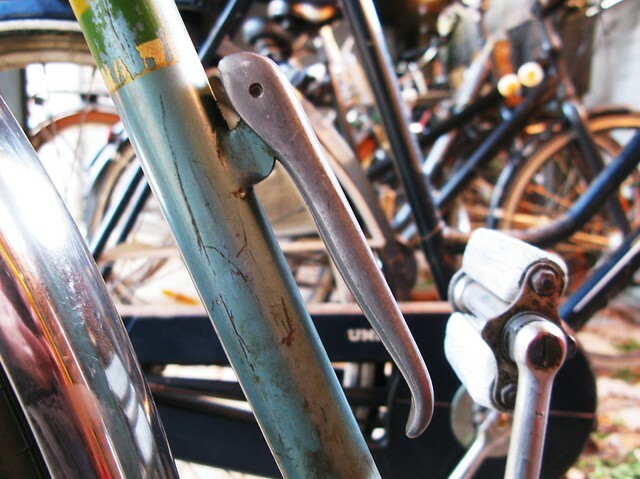 Once standard on many bicycles, this handle helped the bicycle user lift the bike up stairs, over curbs (if laden with shopping) or any number of similar situation. It appears that it was particularly popular on Swedish bicycles. Attached to the downtube, the handle is at a perfect position for a well-balanced lift. I've tried it. 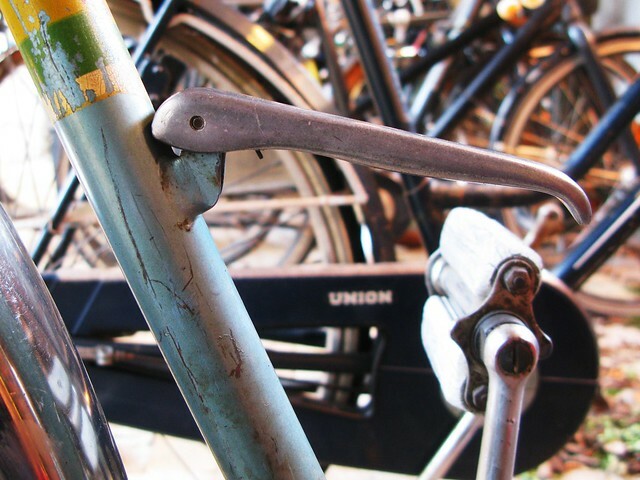 While something like the hook on the back rack is still around, you don't see this simple, practical accessory anymore, not even on bicycles in mainstream bicycle culture. A fact that we lament. But here it is. Let's see which bike brand is the first to reestablish the bike lift handle on newer models. The race is on.